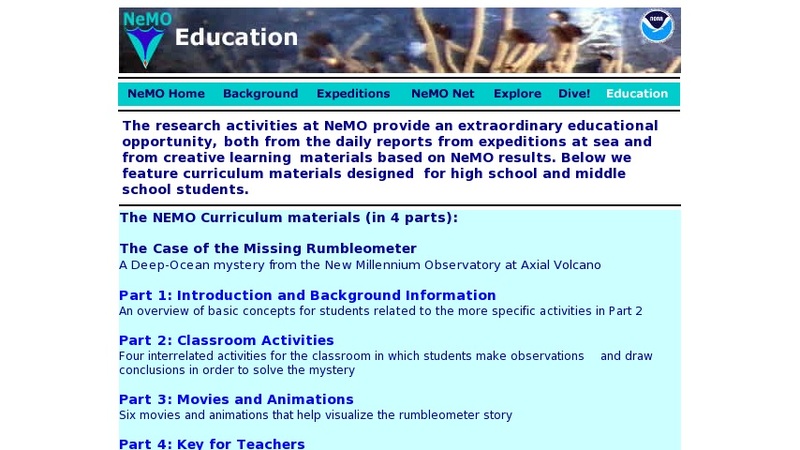 Classroom activities based on how scientists study active volcanoes on the deep ocean floor. Activities include: locating an earthquake epicenter, recording geological and biological information during an ocean floor traverse, creating cross-section profiles of the ocean floor, and graphing seafloor data. Resources include videos and teacher guides.